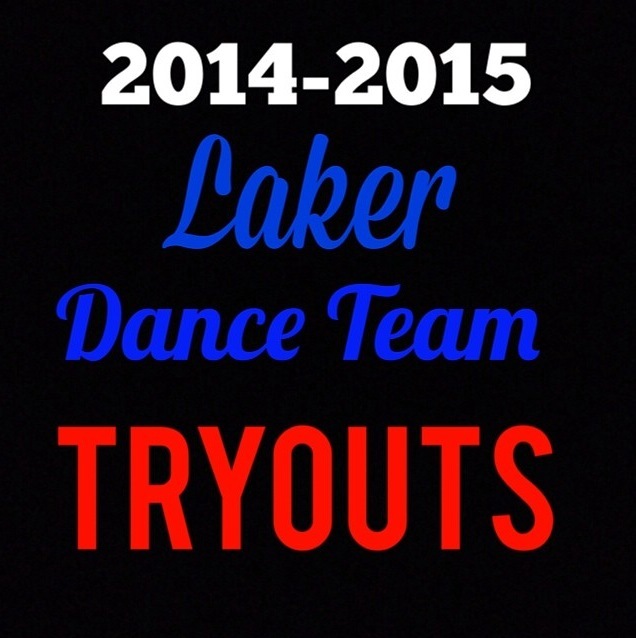 Laker Dance Team Tryouts are happening on May 9-10, 2014! Please be sure to read through all information thoroughly and print your waivers/policy form to bring with you to registration! Don’t hesitate to email us with questions at [email protected] Best of luck at auditions! Its that time again! 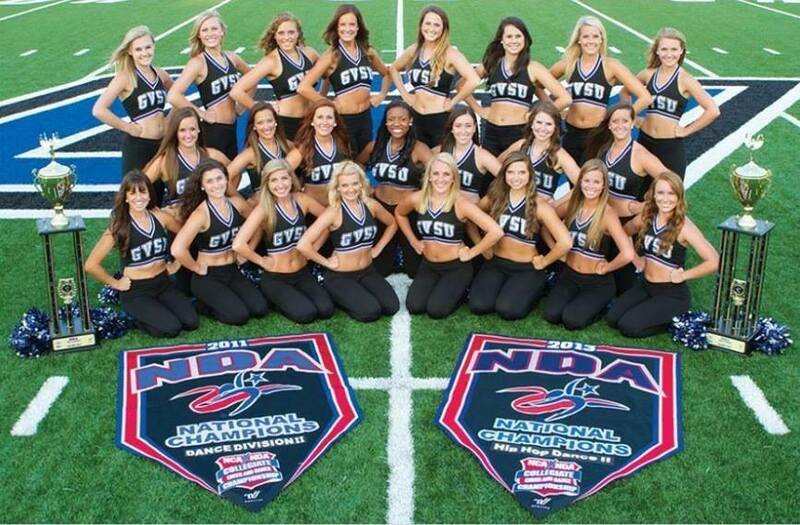 Tryouts for the 2014/2015 season are approaching in 1 month and 20 days! 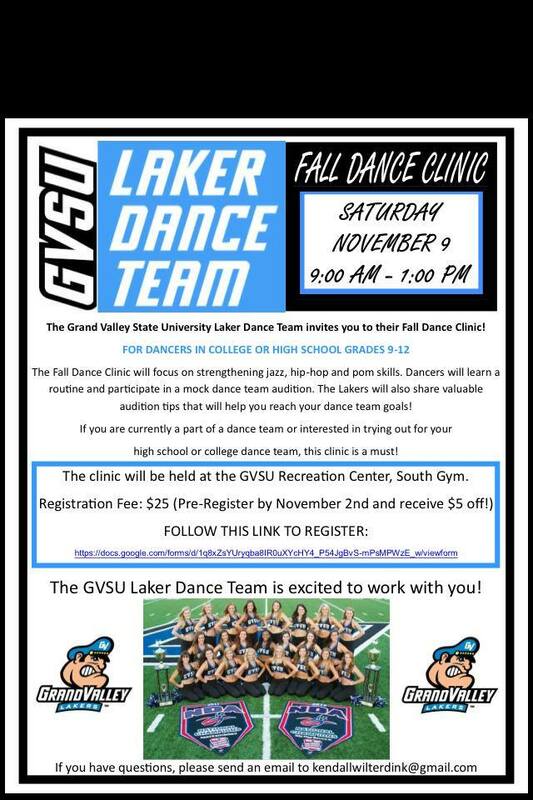 GVSU Laker Dance Team tryouts for the 2014/2015 season will be held May 9 and 10. Please save the date, details coming soon! Follow us on Facebook, Twitter and Instagram or email us at [email protected]! 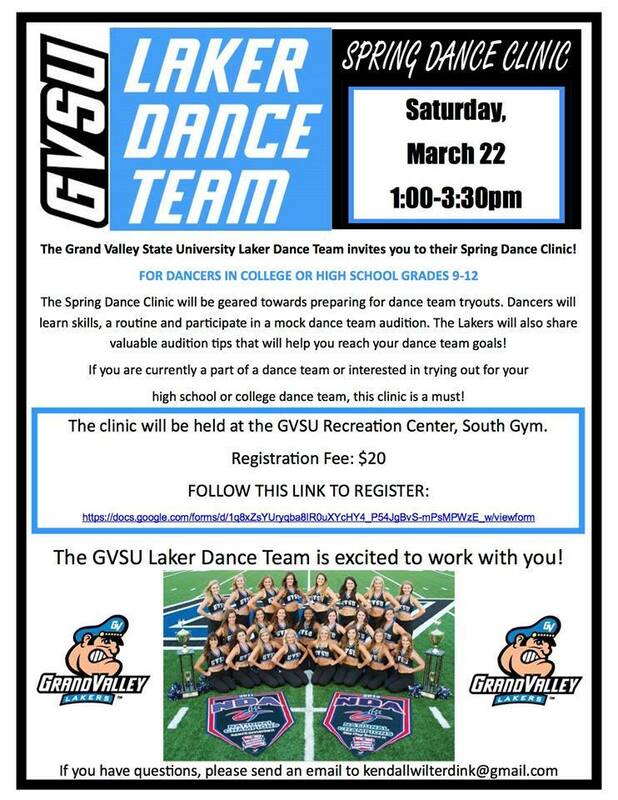 We will be hosting another clinic this year before our tryouts for the 2014-2015 (see our above post for tryout information! ) All information regarding the clinic can be found on this flyer below! Hope to see you there! Here is a link to register online!! 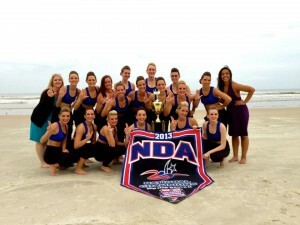 At the end of July, LDT traveled to Louisville, KY to attend the NCA/NDA camp to bond and learn dances to use for this upcoming season. The Laker Dance Team not only came back to Allendale a closer team, but with a first place award in division 2, the most “collegiate” trophy, spirit stick, best all around team trophy, and most importantly a GOLD paid bid to nationals in Daytona Beach, FL!!! Three of our members, Kristi, Kamera and Kaylin received All-American and another member Ty received top hip hop funk out of the entire camp! 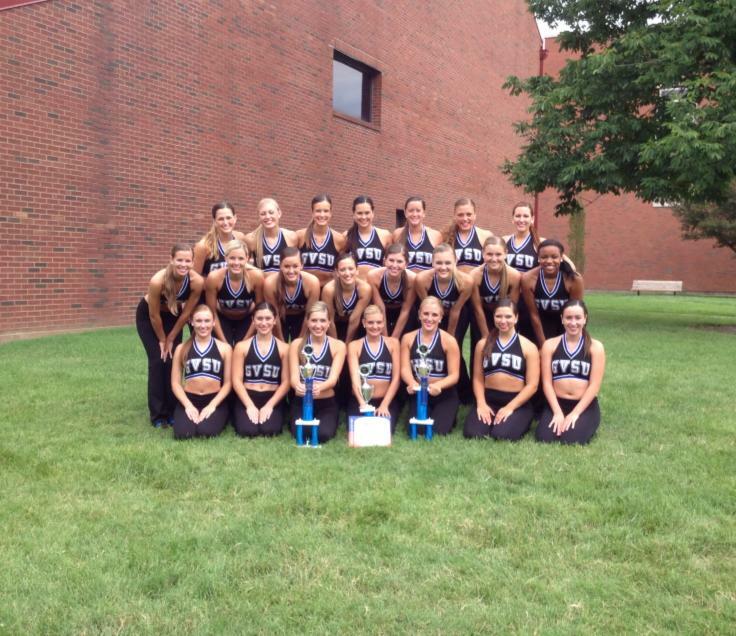 What a great week for LDT! LDT on our final day! 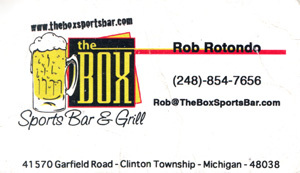 Please direct all your emails to this new address! Our old one is no longer active. Thank you for your continued support!